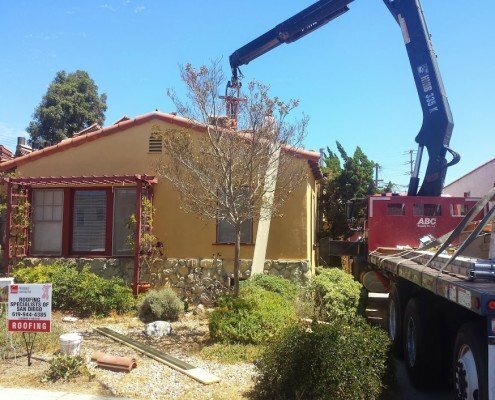 This North Park, San Diego, clay tile lift and lay job was initially a two layer tear off and it amazingly ended up having five layers of old roofing materials. 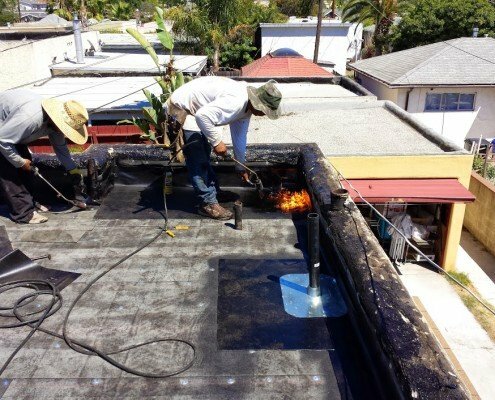 Within our estimate, we added a line item for the additional cost of the unforeseen roof tearoff. 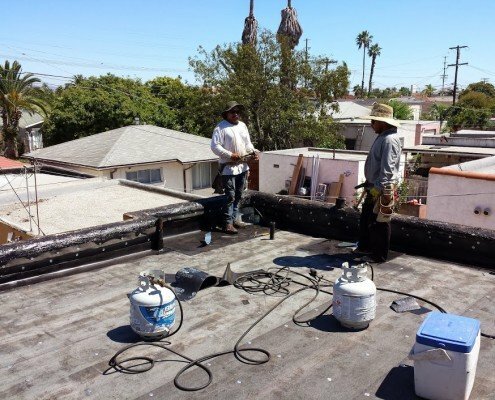 Our crew removed the old roof put on the new roof which was a combination flat roof and spanish tile roof. 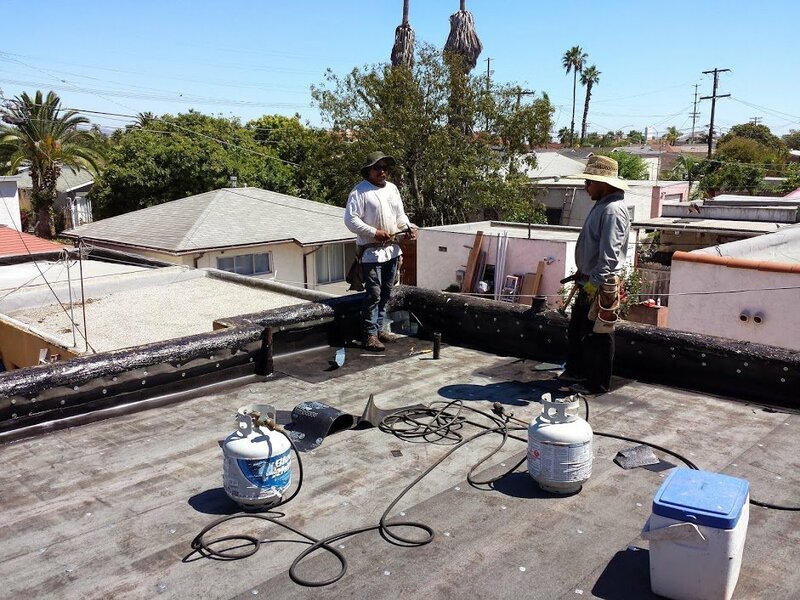 Upon starting the job we saw that there was minimal need for wood replacement because of the quality of wood that was originally used. 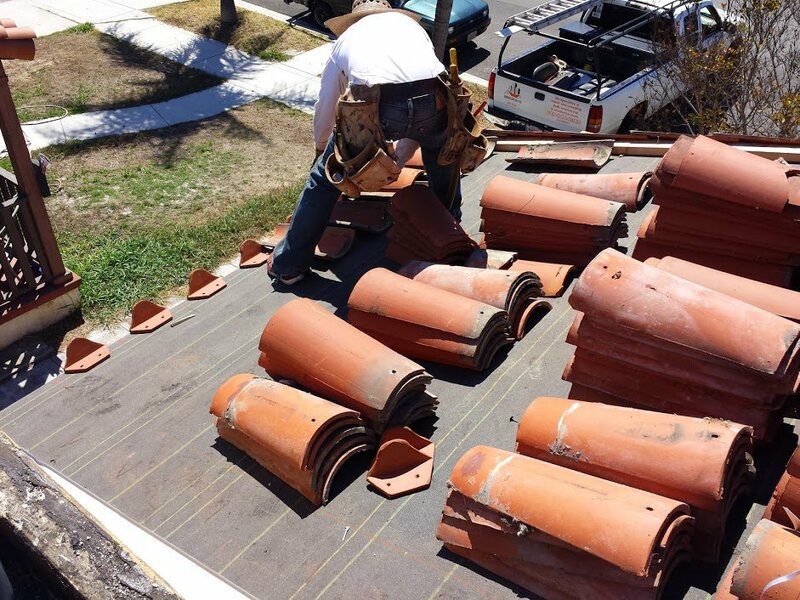 After offering the customer multiple options for different roofing products and warranties, the customer decided on a single ply dibiten torch down system. 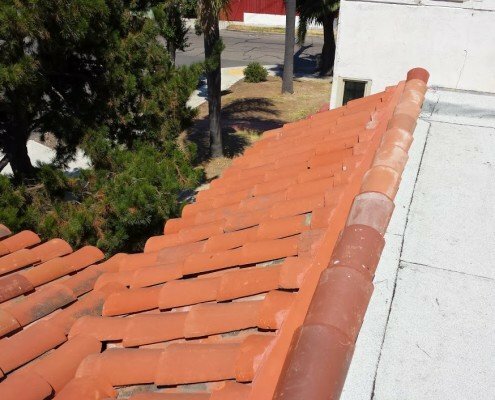 The roofing material was applied to the flat portion of the roof and on the other areas of the roof we re-installed the existing two piece clay tiles. 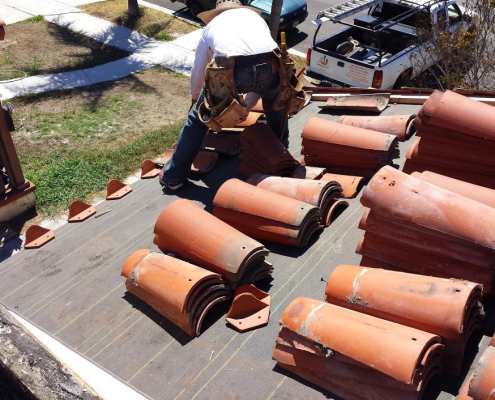 We also needed to replace some broken and missing clay roofing tiles. 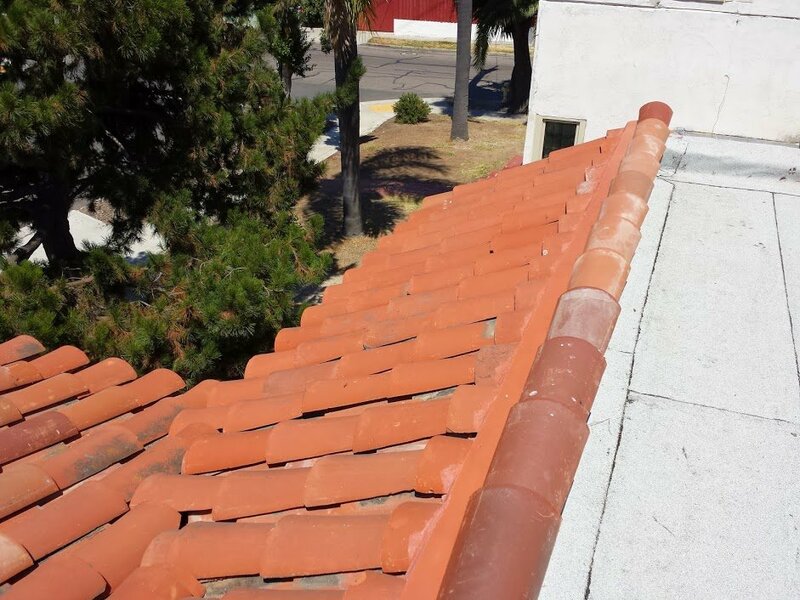 We matched the new replacement tiles to the existing roof tiles as closely as possible. Additional tiles were needed partly because pan style tiles were used as tops, exposing the nail holes to weather and water, which we remedied. 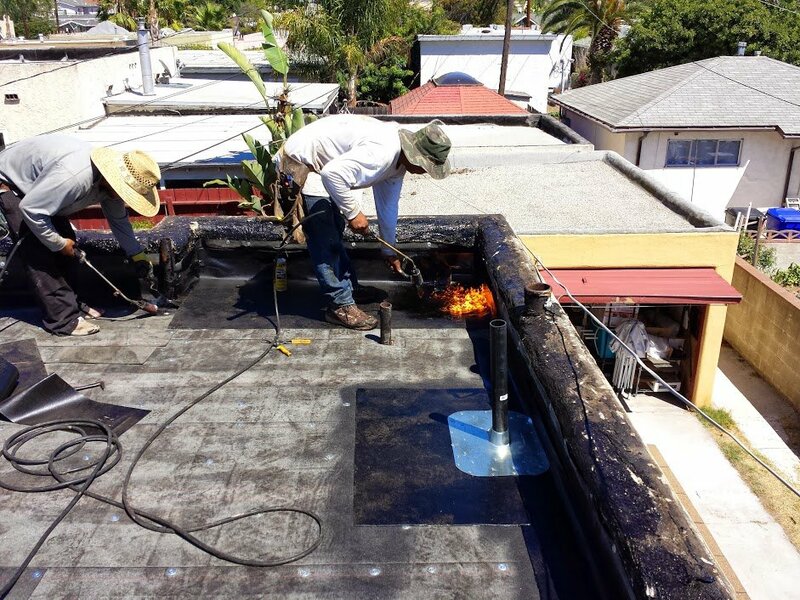 Installing the correct ridge tiles will no longer allow water to penetrate through the nail holes. When the roof was initially installed, only cement was applied at the wall junctions to defuse the water out to the tile. We corrected this by installing the proper counter flash metal so that meets modern code requirements. 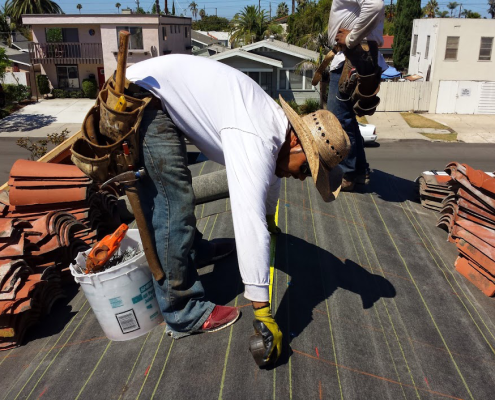 By cutting corners, these initial roofing installation mistakes could have caused damage to the home costing the homeowner additional money. The customer really appreciated our knowledge and was thankful that we corrected these issues. 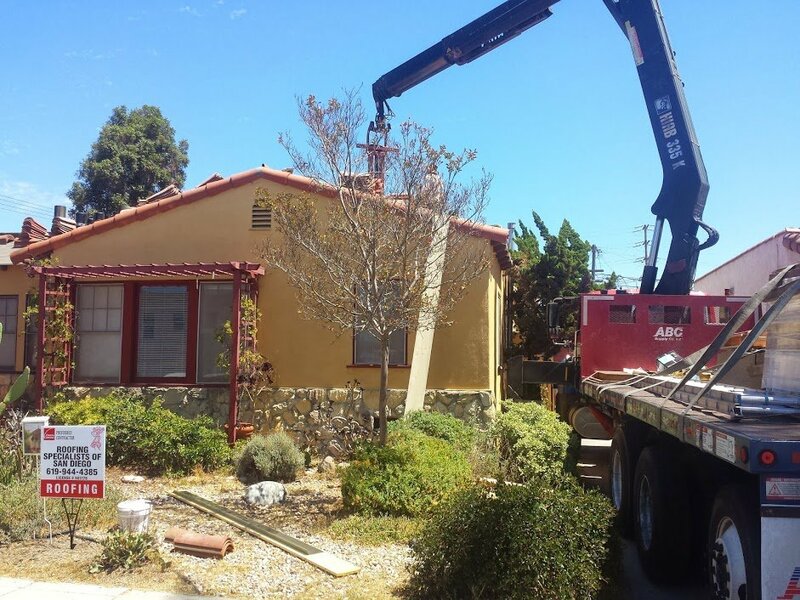 "They were very personable and went over the job in great detail. They were on time and worked very fast. 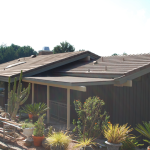 The finished roof looked great. They gave me choices and suggestions for different finishing touches to make the roof look better. They explained all the steps involved in putting on the new roof. After finishing they went over all they had done and touched up any final details."